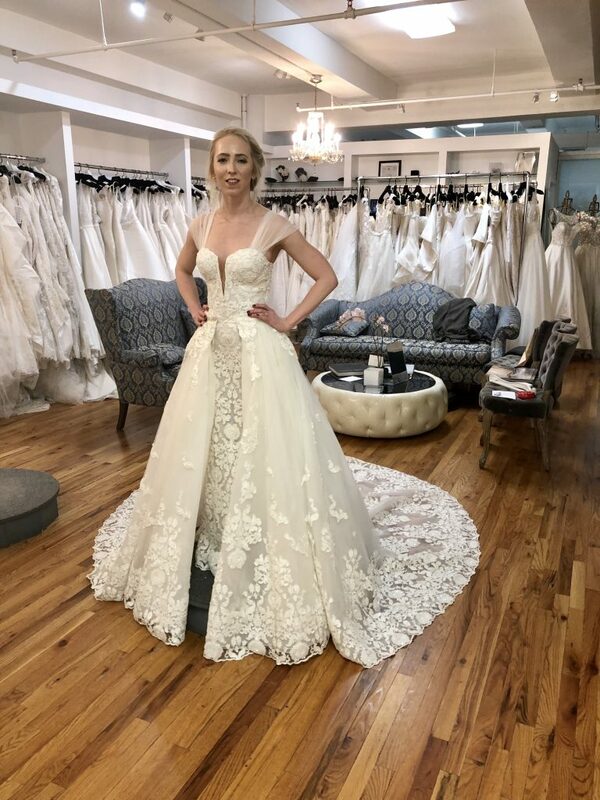 From wedding dress trends to advice for brides-to-be, Liz Sellassie from Designer Loft Bridal in New York City gives us insight into the world of bridal gowns. 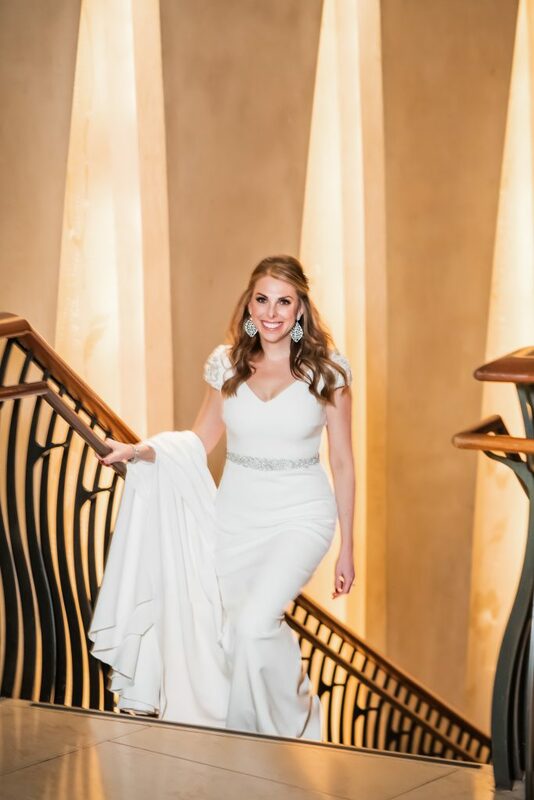 Meet Liz Sellassie, owner of Designer Loft Bridal in New York City. In 2001, Liz shifted her career path from being a corporate attorney to opening a designer collective bridal store. 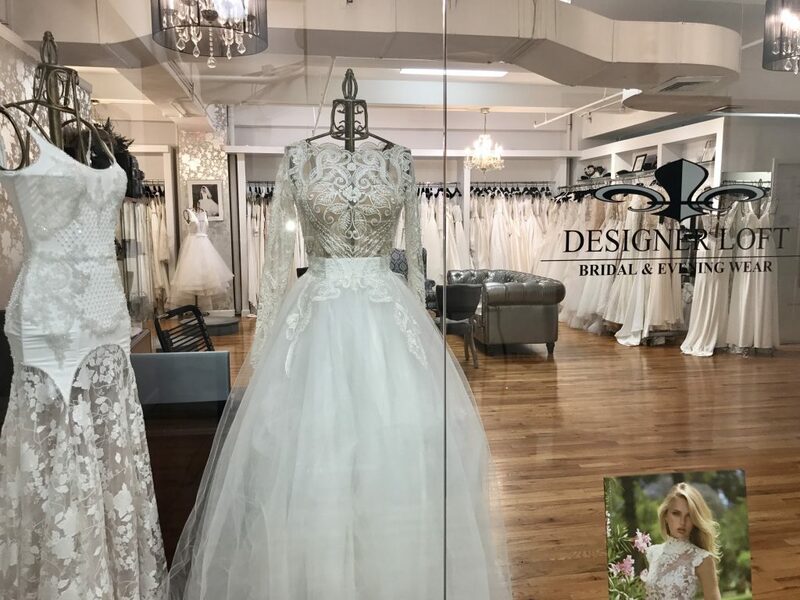 The store aimed to bring together several designers with a similar vision and to give brides more option when it comes to their wedding dresses. 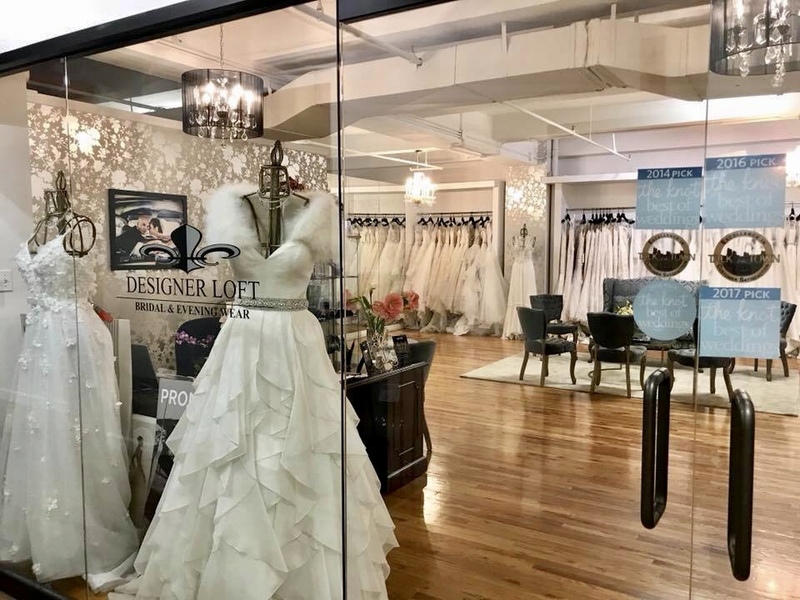 Today the Designer Loft Bridal store features top and emerging bridal couture designers and caters to over 400 brides per year. From wedding dress trends to advice for brides-to-be, Liz gives us insight into the world of bridal gowns. 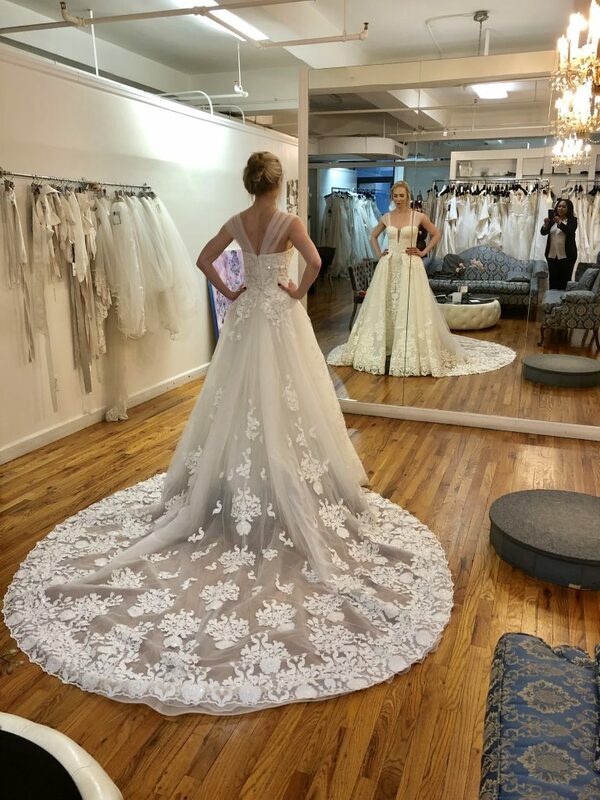 How would you describe the style of the gowns you sell at your store? Designer Loft style is chic but effortless and comfortable! All our gowns are finished with bustles which help brides to move freely, dance and enjoy themselves at their wedding. What has been your favorite wedding dress you’ve ever had in your store? This concept gown was one of my favorite [photographed above]. The dress existed but did not have the matching overskirt, so we created with the designer in Spain. What is your favorite wedding dress trend? At the moment, my favorite wedding dress trend is the 3D texture in gowns. The intricate artwork required to make these textures designs are beautiful. We also love clean and minimalist looks which was introduced by Dutchess of Sussex at the royal wedding! What are three things that make for the perfect wedding dress? Three things for perfect wedding gown are design, fit and comfort! It is also essential for us to make sure that the bride enjoys wearing the dress and she feels fantastic in the gown. What should a bride avoid on their wedding day when it comes to their wedding dress? Brides should avoid a gown that is uncomfortable. 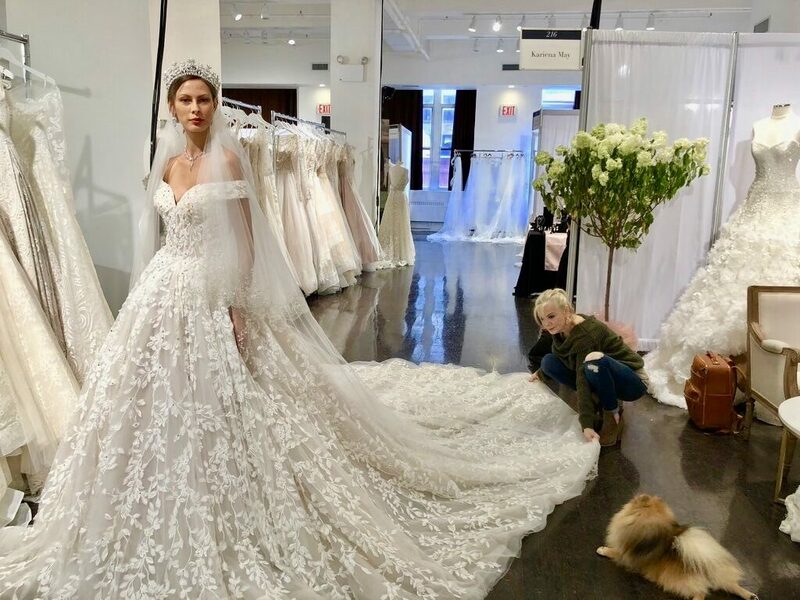 It is essential that brides come to their final fitting to ensure fit has not changed between fittings. Finally, brides should avoid all red foods and drinks on their wedding day. Only drink champagne, vodka or white wine! What are two things you’d advise a bride-to-be when it comes to their wedding dress? Try to find a gown that speaks to you. Do not be beholden to trends but try to find a gown that in 20 years you will look back and think that gown is still me! If you are having trouble deciding which style to wear, go shopping with your child or favorite niece or nephew. It is incredible the insight of children – they often know your personality better than you! Try to avoid shopping with groups larger than four or five – too many opinions can be distracting or overwhelming. How can couples do to help you make your job easier? Brides who have done their research – know what styles she likes, dislikes – makes our job easier. Though keep an open mind as some gowns might surprise you! Visit Designer Loft Bridal website, Instagram and Facebook to see more of their work.